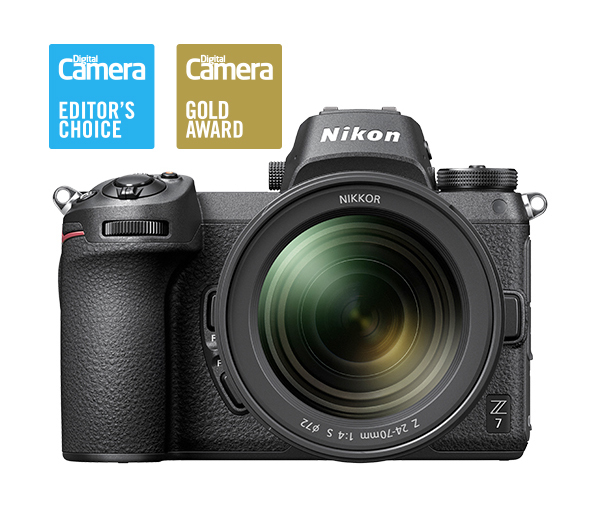 Nikon’s first attempt at a mirrorless camera range didn’t end too well – but this model proves it’s learned its lesson. 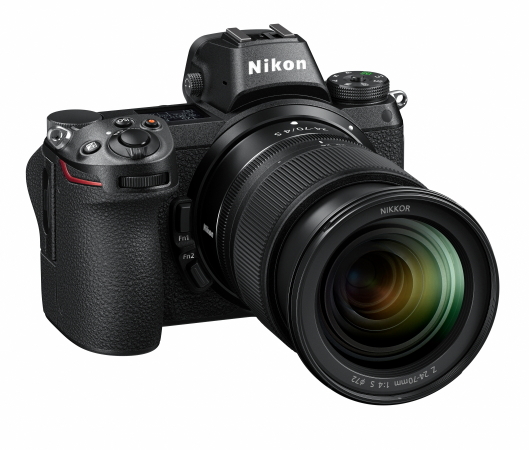 Nikon’s announcement of its new full-frame mirrorless models has set the camera world alight. You don’t have to be a Nikon fan to see why: they mean Sony no longer has the full-frame mirrorless camera market to itself – and with Canon joining the fray with its own full-frame mirrorless competitor, there are exciting times ahead. 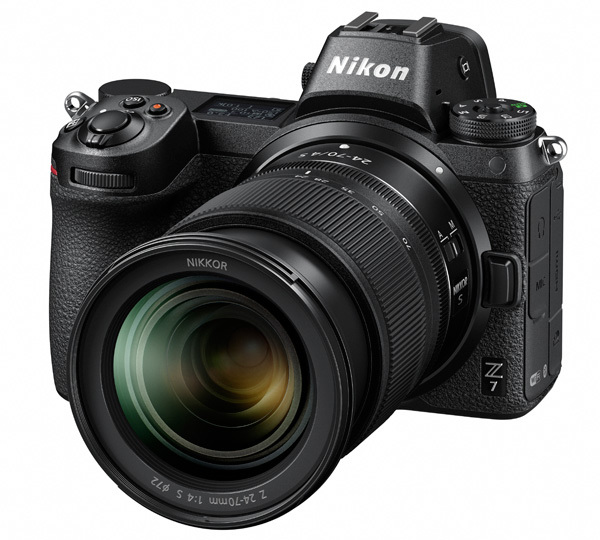 The Nikon Z6 will be a more affordable 24-megapixel model aimed at enthusiasts, while the Z7 we’re reviewing here (and available now) is the 45.7-megapixel flagship model. The full-frame CMOS sensor in the Z7 sounds very similar to the one in the Nikon D850 DSLR. The difference here is that Nikon has built in a sophisticated on-sensor phase-detection system. Its 493 phase-detection AF points cover 90% of the image area and work in combination with a conventional contrast autofocus system. It’s a pretty spectacular-sounding setup for the first attempt at full-frame hybrid autofocus; Nikon certainly appears to have hit the ground running. Also new is an in-camera image stabilization system (IBIS). This is another first for Nikon, as all of its previous interchangeable lens cameras have used lens-based VR (vibration reduction). 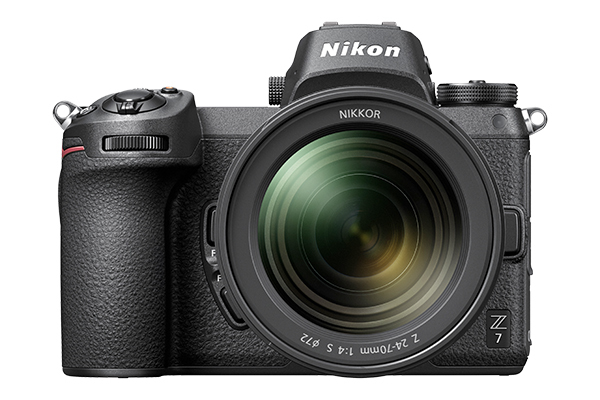 The Z6 and Z7 can still use existing Nikon VR lenses (more on this shortly), and the two systems should work seamlessly together. The in-body VR, however, means that Nikon users will also get the benefit of the new 5-axis, 5-stop VR system, even with non-VR lenses. With the new mirrorless body, the design comes a new lens mount. At 55mm across, the new Nikon Z mount is 11mm wider than its Nikon F DSLR mount, and Nikon says this has “liberated” its lens designers, making it possible to produce new, more ambitious lenses (a 58mm f/0.95 Noct lens is on its way) and deliver a step up in optical quality. The flange-to-sensor distance is just 16mm, which is a lot shorter than the regular Nikon F mount. This allows plenty of space for the new Nikon FTZ lens adaptor, which can be bought separately or as part of a bundle with the new cameras. With this adaptor, you can fit all 90 or so current Nikon lenses and get full autofocus and automatic exposure, and up to 360 lenses with just auto exposure. The new mount does not have an autofocus screw drive, so older AF lenses are restricted to manual focus, but this wide compatibility with existing Nikon F lenses will make it easy for current Nikon owners to migrate to the new mount at their own pace. Before, Nikon owners tempted by full-frame mirrorless systems faced a complete and expensive system swap to a different brand. Now all you have to do is buy a new body. There are new Z-mount lenses to go with the new cameras, of course. Initially, there’s a 24-70mm f/4 lens, a 35mm f/1.8, and a 50mm f/1.8, and we’ve tested the first two alongside the Z7 in this review. Nikon’s roadmap includes another six Nikkor Z-mount lenses in 2019 and three more in 2020. We’ve tried the Z7 and mount adaptor with several DSLR lenses from Nikon and Sigma, both full-frame and APS-C format and all appear to work perfectly with the new camera. 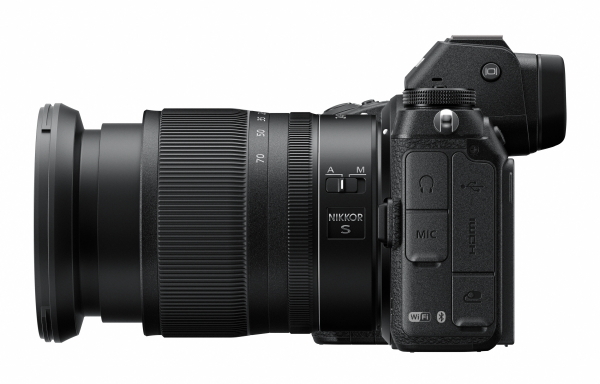 These also include an ISO range of 64-25,600, or ISO 32-102,400 in expanded mode, 9fps continuous shooting, 4K UHD video recording, a weather-resistant magnesium alloy body, and a 200,000-shot shutter life. The only possible point of controversy is Nikon’s choice of memory card format. There’s only one card slot, for a start, and it’s XQD. It’s a fast, robust, forward-looking format entirely appropriate for the Z7 and its audience, but it does mean starting a whole new memory card collection for anyone who’s been using SD or CF cards. We’re told the card slot will be compatible with the brand-new and even faster CFexpress card format when it arrives – physically, these are the same as XQD cards. 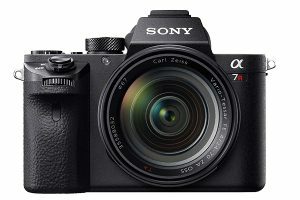 Externally, the Z7 is a lot like its chief mirrorless rival, the Sony A7 series, and totally unlike Nikon’s DSLRs. 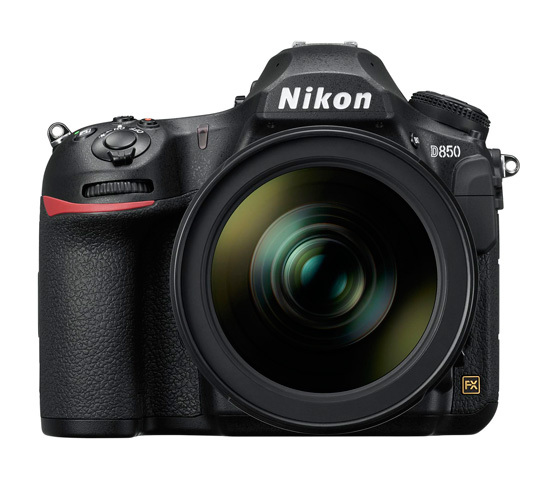 It’s much smaller than the Nikon D850, the DSLR whose technology it largely shares. The smaller size can be both a good and a bad thing. It makes mirrorless cameras like this both lighter and more portable – one of their key selling points – but it can make the handling feel unbalanced when you use larger lenses. 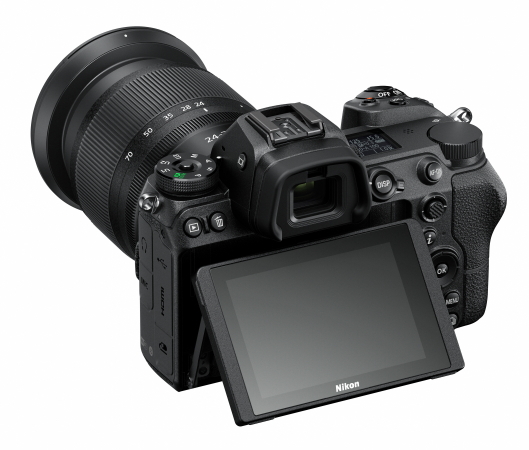 This is perhaps less of a problem for the Nikon Z7 than it is for the Sony A7. The Nikon feels slightly larger and has a good-sized grip. 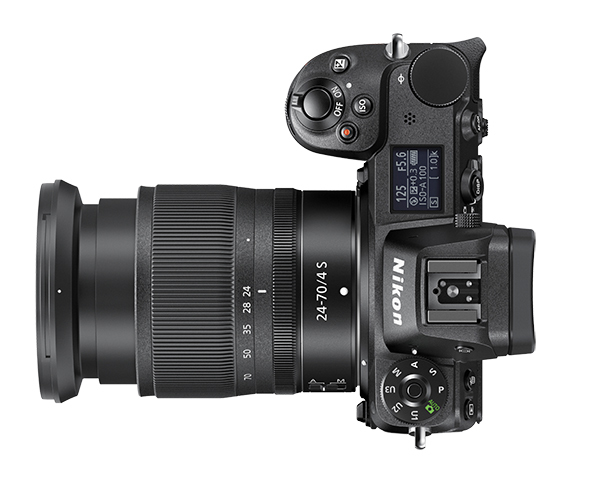 It is also released with the new, compact Z-mount 24-70mm f/4, which feels like it was designed to fit the camera body exactly. 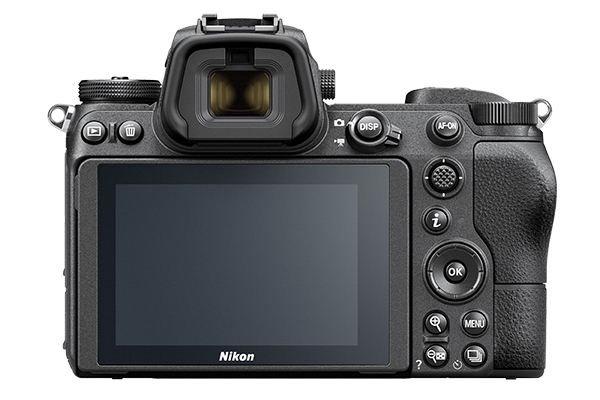 Nikon fans should note that the Z7’s control layout is not the same as on Nikon’s pro DSLRs. Instead, it has a regular mode dial rather than a simple mode button, and the drive mode is selected via a button rather than a dedicated control dial. The smaller body leaves just a little less space for external controls, although there is still room on the back for a focus point lever and an AF-On button. The four-way navigation pad feels slightly small and stiff, but otherwise, the Z7 handles very well. The viewing system is good too. 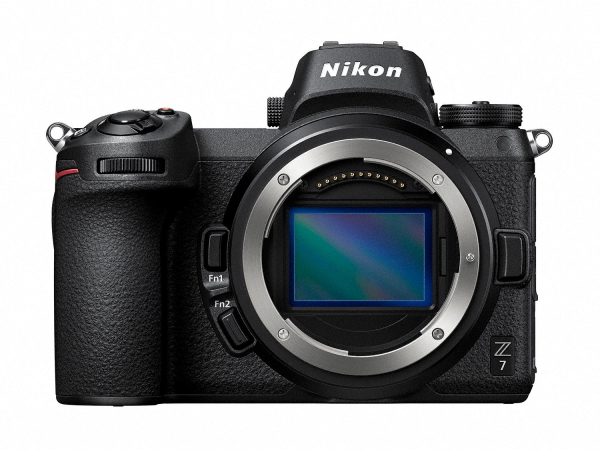 Some photographers will still prefer an optical viewfinder over an electronic one, but Nikon has nevertheless pulled out all the stops to make the Z7’s EVF as good as possible. With a resolution of 3.69 million dots, it’s so sharp that you really don’t see any granularity at all, and its digital nature only becomes apparent if you move the camera quickly and see some slight ‘lag’ or blurring. 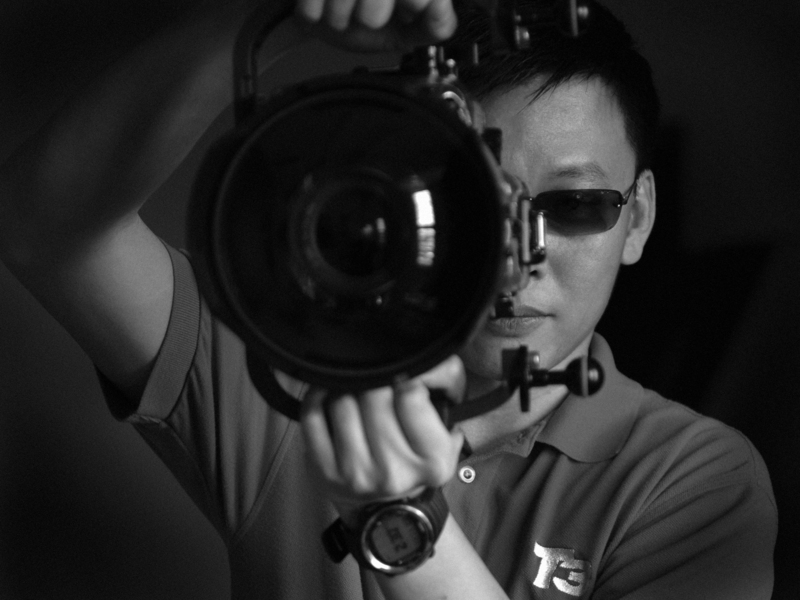 Having said that, the Z7’s EVF seems less prone to lag and smearing than others we’ve tried. Viewfinder lag isn’t an issue during normal static photography, and might only be noticeable with fast panning movements and during continuous shooting. Like other electronic viewfinders, it has a distracting ‘stop-frame’ look at high continuous shooting frame rates, rather than the fluid appearance of an optical viewfinder. It doesn’t stop you getting the shot, but it’s something you might not adapt to straight away. Nikon has clearly made viewfinder quality a priority, though, using an aspherical element and fluorine coatings for the viewfinder eyepiece. You can use touch control to select the focus point, focus and shoot with a single tap, and make changes to the camera settings. It is really useful to be able to tap the screen to shoot when the camera is being held away from your eye, but the downside of touch control on all cameras (not just this one) is that it’s easy to change settings accidentally while handling the camera, or find that the focus point is way off in the corner of the frame when you go to take a picture. Another issue is that when you flip up the rear screen for a low-angle shot and use your finger to set the focus point, the viewfinder’s eye sensor is activated and the camera switches the display to the viewfinder. You can get around this by manually switching between the viewfinder and screen display, but it is a mild annoyance all the same. The OLED status panel on the top of the Z7 is a big step forward, though. It’s not particularly large, but the reversed white-on-black text is much to see than the information on regular ‘green’ LCD displays. With its 45.7-megapixel sensor and new-generation Z-mount lenses, the Z7’s image quality is going to be a major selling point. It doesn’t disappoint. We’ve already seen what this sensor (or its close relative) can do in the Nikon D850, and in our lab tests, the Z7 matches or even improves on this performance. The resolution of both cameras is the highest we’ve recorded from full-frame cameras, hitting the maximum 40 resolution of our optical test chart right up to ISO 3,200. The lab results are borne out in real-world use, where the combination of this high-resolution sensor and Nikon’s new Z-mount lenses proves pretty spectacular. Nikon’s default Matrix metering system proved as reliable as ever in our tests, and if anything seemed tuned towards preserving highlights. With straight ‘fives’ for features, build & handling and performance, the Z7 is an instant classic. It’s a superb (and superbly made) mirrorless camera. 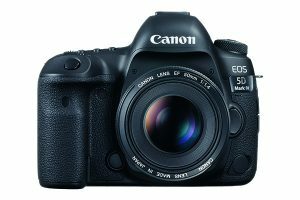 Canon’s new full-frame mirrorless model wasn’t available to test yet, but we can pit the Z7 against its DSLR cousin the EOS 5D IV, which is starting to look underpowered compared with its recent rivals.